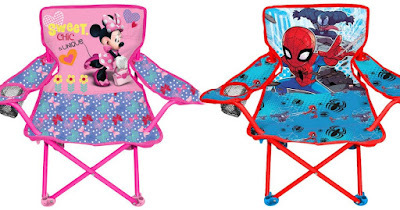 Head over to Kohls.com where you can score nice deals on Outdoor Toys, Games, and other items for kids! Even better, through March 31st, all Kohl's Cardholders can save an additional 30% off your purchasewhen you use promo code RAINBOW30 plus you will score FREE shipping on every order with code FREE4KC at checkout. If you're not a Kohl's Cardholder, you can use promo code SUPERSAVER to save 20% off orders of $100 or more, or save 15% on orders under $100. Shipping is free on any order of $75+ or starts at $5.95 for orders less than $75 OR opt for free in-store pick up if available near you. And don't forget the Kohl's Cash! Through March 31st, you'll get $10 in Kohl's Cash for every $50 you spend. You can then use your earned Kohl's Cash coupon from April 1st- April 8th.